Bulgaria will receive 6 million. euro support for the crisis in the dairy sector. It became clear during the informal meeting of the EU Agriculture and Fisheries Council in Luxembourg, announced the Ministry of Agriculture. Agriculture Minister Desislava Taneva said earlier, that Bulgaria needs 50 mln. euro to cover the losses due to the Russian embargo that collapsed prices in the dairy sector and swine breeding. ,, It’s very important that funds are not of the budget crisis, but an additional resource that should support farmers immediately. We appreciate that some of the proposals we made in December last year, when we put the question to the crisis in the dairy sector, we see them reflected in the package, “, said during the Council Minister Desislava Taneva. She suggested these measures, such as making support for livestock, where have passed all the checks, the funds can be paid in advance to 100% immediately after 16-th of October, and not later than 1-th of December. Taneva said that from September the 1-st this year Bulgaria has imposed a complete ban by Russia on exporting of plant products. She also said that talks between the European Union and Russia to drop the embargo must be started. “For us in the long term it is very important to immediately begin talks by the European Union with Russia to drop the embargo. The longer the embargo continues it will be more diffucult for our farmers to restore their positions of previous gained markets, “said Agriculture Minister. European ministers have asked Brussels to trigger additional funds once spent on compensation for Russian embargo because 220 mln. 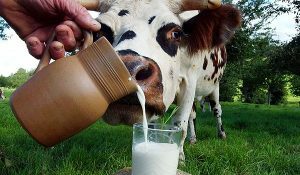 Euro that was separated did not lead to a rise in prices in the dairy sector, said Dnes.bg.